Works well, smart silver finish. The display could be a touch brighter. This KOR3000DSL silver microwave features 10 different power levels, as well as an assortment of auto cook menus and defrost system. External dimensions are 53cm by 41.3cm by 33.8cm, and inside it measures 27.9cm by 46.5cm by 34.2cm, with an overall weight of 11.6kg. The inside is finished in acrylic for easy cleaning and maintenance, with the exterior finished in a silver colour scheme - it looks smart, and will suit most modern kitchens. It may look a touch out of place in a tradition or older style kitchen - although this is entirely down to personal preference. 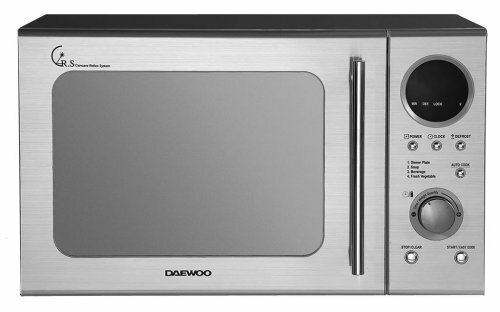 Overall capacity is 20 litres, and so it's not the biggest of Daewoo microwaves, but would be ideal for a smaller family or household. The display is slightly dull, and could do with being a bit brighter - particularly if you try to read it in direct sunlight. Most of the time it's fine though. 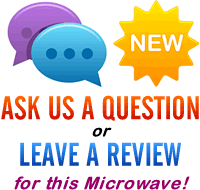 Overall the KOR3000DSL microwave works pretty well, and looks more expensive than it actually is. It's a good performer and worth considering if you like it's silver design.